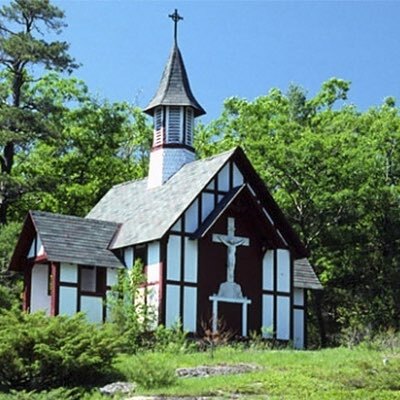 Early in the history of the Paulist Fathers, Servant of God Isaac Hecker and his companions would camp at Lake George in the Adirondacks in upstate New York. In the early 1870s, thanks to the generosity of the O’Connor family, the Paulist Fathers became the owners of a large portion of lakefront property at the southern end of the lake and five islands further north. A summer house was constructed followed by a building to house Paulist students. A larger chapel, boathouse, refectory and library were added later as well as a cabin and chapel on the islands. St. Mary’s of the Lake serves as our summer retreat and site of the summer component of Paulist student formation. It also hosts the annual “Paulist Plunge” vocations retreat and the Openings Collective’s week-long artists residency. The Paulist Fathers celebrate Mass at St. Mary’s of the Lake Chapel from Memorial Day to Labor Day.